Do you work for DaVinci Resolve? DaVinci Resolve 12 combines professional non-linear video editing with an advanced color corrector so now you can edit, color correct, finish and deliver all from one system! "Best Free Video Editing Software I've Found!" I know this is not a video editing software at its core - it is for color correction. But it is a REALLY good video editing software! It is by far the best free video editor I have found, and I have tried just about all of them. NO ads, no crap, and lots of great features! Compared to something like Premiere CC or FinalCut, you are a little limited. This is true. But it really is good! It runs well an doesn't freeze up even though I don't have tons of ram or a super processor. It has plenty of features and lots of export options. Really just a great product! I edit videos for my side business. I don't make enough to justify paying for Adobe Premiere or other expensive software. This is perfect for what I need to do, and works great! "Used Da Vinci resolve to edit and create videos, usually action cam footage. " Robust and powerful software offering a majority of professional software features while also free. The premium version (which I do not use) provides even more editing features which would be useful for professional editors. The trouble with getting it to work on some machines because it cannot find the GPU. Usually, a driver compatibility issue which has been tough to solve. Great software to use for almost anything. Very intuitive to use once you get the hang of it. For best performance, a dedicated graphics card is recommended. Their website would show the ones compatible with the software. Used for personal projects, mainly editing footage taken on action cameras used during biking or trekking and for creating videos to showcase research work at CMU. Easy to use, highly customizable, giving control over image properties like color, sharpness, size, and bitrate among others. Resolve is an amazing program for color correcting footage and the best part is the basic software is free. Anyone can pick it up and learn it, and import into Adobe Premiere for proper footage. Nodes are a great way of layering changes to your image. You can turn off individual nodes and change the orders to affect the priority of changing the picture. Keying is great and allows you to control individual parts of the image, as is masking. You can create incredibly complicated image correction to get exactly the kind of look you want. Unfortunately Resolve's editing tools are not robust enough to be an all-in-one solution for editing. This means most of my time is spent importing/exporting LUTS. I'm not really a fan of the media handling and interface. In my opinion the Bin/Folder style file handling is always the best for editing, leaving Resolve a bit shallow on that end. Export settings are also slightly lacking. You can't, for example, export MXFs for broadcast or do closed captioning work which is needed for television. This makes Resolve great for color correcting, but sadly a half measure for the workflow. Try to become on expert on using nodes properly. Color correct in Resolve, and import into premiere! Color correcting for broadcast material. Exporting LUTS from Resolve, importing into Premiere workflow. The absolute control you have over your color grading. I love the ability to pick certain colors or hues and adjust those with precision. And you can do this for multiple selections. The learning curve of the UI is tough, you have to take a tutorial just to learn the layout, you cant just jump in. Just remembering how to add a location to pull footage to grade is a pain. Take tutorials and really try to learn the software for coloring. Editing tools are included but they are not robust as Premiere Pro, however they are working towards it. Look into editing with Premiere Pro and export to an XML t color in Resolve. Also, it's FREE! Only a few features are behind a paywall yet I have not run into a situation yet where I need them. Color correction and color grading of video footage. "Great free video editing software." This software includes a lot of basic features, it is similar to some of the expensive video editing software-like final cut pro- however it is free. It has great audio and it's easy to edit and cut audio clips. It has simple features allowing for basic transitions from clip to clip. It is missing a few important features, it is good for basic video editing, however for anything more than basic it is lacking the capacity to do complicated special effects or transitions. Also does not have the same templates that can be found is lots of video editing software. Increase the special effects and templates available. Video production is key to a successful business, having reliable free software has helped us to increase our profits. This has been great for our YouTube channel and the videos that we have created there, however for paying customers wishing a video production we use more advanced software. "DaVinci Resolve - Free, Powerful, but Limited"
The interface is quite modern. It takes some getting used to, but once you know your way around, it becomes a breeze. There are a lot of features to play around with in Resolve, so you should have fun tinkering with various aspects of your video. I also like how speedy and fluid everything is, and I don't even have an SSD in my system. The free version comes with some limitations, but they don't really get in the way. My main disappointment is that there are some features missing here that are in other editors like Lightworks (such as being able to create effects presets instead of having to edit effects from scratch every single time). If you've ever used any other professional video editors, then using resolve shouldn't be an issue. It has a similar interface and layout as other editors. But if you're someone who's just getting into editing, then it might be a bit intimidating because the process is rather complex. I relied on some tutorial videos on YouTube to help me figure out what this program could do. Resolve has allowed me to create some nice looking videos. In some ways, it's a bit better than Lightworks. "The BEST professional editing software." DaVinci Resolve - THE software for color correction. Resolve is so intuitive, so powerful, so incredibly funneled. You know exactly what you need to do and how to achieve it. Yes, if you're a new user, the sheer amount of options might seem a bit overwhelming but every single second spent learning is an investment. Especially since Blackmagic offers something that makes this editing software unrivaled: a full-featured free version. Render times are amazing as well. And of course, coupled with the unparalleled color science from Blackmagic own cameras (apart from the much more expensive RED), Resolve is a powerhouse. Editing workflow and especially transitions could be improved in order to make Resolve a true one-stop shop for all your editing needs. Although Resolve Is not the standard next to the common user, it should be. While users praise Final Cut, Resolve is amazing at giving you the "look" that you have in your own mind. And yes, it's FREE. And the FREE version has almost EVERYTHING. Savings and results. Without resolve we would need a lot more software to achieve the same results, especially since Resolve allows you to learn the software with its free version. Resolve is not only unbeatable when it comes to price - it's also pretty unbeatable when it comes to results. "Full-scale NLE since version 14"
Learning curve is a bit steep, and sometimes it crashes suddenly, but it has auto-save. Noise reduction plugin is available only in paid version. Download the free version 14 and try a test project – you'll love it straight away, even if it takes a while to learn. You can customize the interface to look like your previous editor, for easier transition. Even the paid Studio version is much cheaper than the competition. Years ahead Adobe Premiere regarding color editing, and now on par as non linear editor. Price is a full-scale winner – there's a free version with no limits, and a Studio version at 300 USD, that has collaboration options, uses a dedicated relational database (PostgreSQL) for project storage and has some extra plugins. They also say that, once purchased, all updates and upgrades are free for life. DaVinci Resolve is an incredible program that brings life to your footage. I love that certain areas can be singled out. I can focus solely on the background or just on a person's face. While I'm still getting used to the tracking feature, I see how it is beneficial. While DaVinci does offer many wonderful things, I dislike how it does not work well with Nesting sequences. I learned this the hard way. After many frustrating hours, I decided to just unnest the sequence just so I could impact into DaVinci. I know now never to nest sequences when I know I'm going to be using DaVinci Resolve. There has to be a solution! It would be great if Blackmagic was able to make DaVinci Resolve work better with Adobe Premiere, specifically nesting sequences. DaVinci Resolve re-vitalizes my videos. It makes the footage more appealing. I can make something shot in mid-day appear at night. I can change the genre just by changing the colors. It creates so many possibilities!! I love that opposed to Premiere and After Effects, the color bit depth is wider. This results in better color correction across complex images. Davinci is the go-to for professional color grading suites, and it makes perfect sense why. I have only had a little time with the software, and it takes time to get used to. I also have found it takes a real learning curve to intigrate it into your system. For me, I have been round tripping from Premiere to Resolve & back after it's finished. This can be good, but the way the two software interpret color sometimes is annoying that they finish differently. Great product for achieving the highest quality color correction for video production. Resolve has the best color correction you can find anywhere. 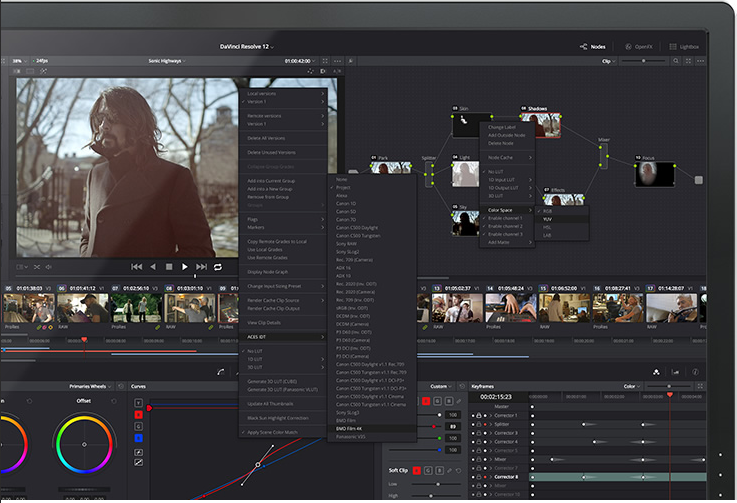 "Easy to use, extremely cost-effective color correction software"
Resolve is incredible software, at an incredible value: free. Of course, we shoot on BMCCs, so we have received Resolve dongles to unlock additional features of the software, namely: noise reduction. Resolve has a mostly intuitive interface, and specifics of how to use it, can be found through plentiful online resources. Color grading is made easy through our use of the product. Black Magic provides a helpful and free pdf with their product for users to become familiar with and use to learn the software. I find this awesome, and I'm quite happy with their intentionality with DaVinci, even if their approach with cameras is extremely lacking. One will need some previous experience with the art of color correcting/grading to be even slightly competent with Resolve. Of course, you will grow in your skill over time, but many of the features built-in to Resolve should be somewhat second nature if you are familiar with other grading software built-in to Adobe programs. Another note is the NLE included in Resolve. I've used it only a tiny bit to become more familiar with it. It's not extensive, and only simply gets the job done as opposed to software that actually costs money. While this could be useful for someone wanting to try their hand at editing, I don't think it slightly practical for professional use. Another thing that just doesn't work well is sharing color grading profiles with other users. There is a built-in user sign-in, however it does not transfer over well to multiple users. This should be addressed by cloud-based sign-in, but time will tell. If nothing else, just try out this software. It really has a ton built-in, and has a huge leg up over the basic Lumetri color grading features in Premiere Pro. Resolve has made it easy to provide beautifully colored images for our clients in early draft stages. It's become easy to have one editor cutting together a story for a client, meanwhile, the other colors the footage. With a plethora of exporting options, it is simple for one to replace the footage in their NLE software with the graded footage. For being such a well designed non-linear video editor with in-depth editing capabilities, I'm astonished that it's free. The best feature is how much control you have over lighting and colors with tons of histograms, levels, etc. The biggest issue I have with Davinci is that it doesn't have a rendering progress bar. In fact, there's no way to tell whether or not a section has rendered. Also, the program overloads the CPU EXTREMELY easy if you try to layer a couple elements together. It's ok for color correction, but not for a full-scale production due to CPU overload issues and the lack of a rendering progress bar. After Apple released the Os Sierra update, it corrupted our Final Cut. Davinci is a decent replacement until Apple updates Final Cut with a patch for Sierra. "A great way to color grade video clips!" Not many people know how to successfully color grade video clips. DaVinci Resolve was the first program I used to ever fully color grade video. I had huge success with learning to properly color grade through this program. The way the program is set up, is very user-friendly. I also appreciate that way they have their color wheels very large and easy to use. On of the best features in Da Vinci Resolve is that you can easily copy the color grading from one clip and paste it to many clips quickly and efficiently. Da Vinci Resolve is great, the one this that is frustrating is that you can not export still frames as .jpegs, you can only export them as .tiff files. I do understand that the program is for video, however, that would be a great additional feature. Learn the in's and out's of Da Vinci so that you can easily and quickly create stunning video. I am creating high quality looking film by color grading through Da Vinci Resolve. The program is superb to all other VIDEO color grading programs out there. I have also realized that you can easily import presets (that you can purchase from other film makers and companies) that can also ease the color grading process! "Steep learning curve but one of the best out there"
Resolve is INCREDIBLY powerful. Anything you want to do with a color grade can be done in Resolve. The editing features are also being built up constantly. The learning curve is very steep and even after a year or so of using it there are many aspects I still don't know or just discover. Not necessarily a drawback. Going from using Premiere's built in color correcting features to Resolve has greatly improved my videos and gives me so much more control. Resolve is the industry standard along with Baselight. Extremely powerful software. Looks intimidating but you learn it, you won't go back. Other powerful tools outside of color, including stabilization, noise reduction, vignetting, control of aspect ratio. Setting up a system is a steep learning curve, and it's not the most mobile to take a project from one editing station to another. Resolve touts itself for editing as well. I wouldn't count on it just yet for the entire post-production workflow. But they are getting better and better with every update. Specialization in color. Can do wonders if you know what you're doing. Clients watching you work think you're a nerd-god due to the complex-looking interface and the powerful tools. Da Vinci Resolve is one the high end color correction softwares in the field. They have everything from node based color correction to keyframing corrections within a node. The interface is extremely friendly and recently just updated to make a huge step towards becoming a competitive NLE. They have tried to simplify the export screen from Resolve and it doesn't offer me as much customization as I would like. It also requires a fair amount of time to get familiar with all of the possibilities it has to offer. Everyone should download this software. They offer a free version and anyone looking into getting into color correction should definitely download this product. In the future I can see whole feature projects going from start to finish in this NLE. We currently color correct our own work and sometimes our current NLE doesn't offer the precision that Resolve offers. There are numerous benefits from keyframing 2 different color corrections in one tracking shot to saving time because it's a reliable software and rarely crashes. "The standard in color; an infant NLE"
If you want a color grading program, get Resolve. There isn't anything better. The only exception would be if you need something that integrates into your NLE like a plugin. But if you are serious about color, you can't tough Resolve with anything else. I've tried, and have uses for Magic Bullet Looks and Colorista, as well as other tools like SpeedGrade, and FilmConvert. But at the end of the day, if I'm going to seriously grade a project, it happens in Resolve. Additionally, this thing has the best tracker of any program I've used—including Mocha, Fusion, and After Effects. It rocks. I love that Blackmagic is trying to make this a full featured NLE. It's not there yet, but it's getting better. The NLE functions are fledgling. They hit checkboxes, sure, but they just haven't given it the time it needs to be a real, seasoned NLE that gives a great editing experience. It's nothing major missing—it's a hundred small things that add up to lost time. Tasks take one or two clicks longer than in Avid or Premiere, keyboard shortcuts don't exist for certain tasks, or behaviors don't happen the way they really should. And none of that is a knock against Resolve or Blackmagic. I firmly believe they'll get there, in time. It's just not there yet. Don't question it—if you want to do color grading, get Resolve. The only reason you may not want to is if your computer is very underpowered. But my 2011 MacBook Pro runs it well enough (with 4K footage in proxy mode) so you probably can make it work. Don't be intimidated. There's a rumor that Resolve has an intense learning curve—it really doesn't. It runs just like any other color grading program I've used. Like Fusion, this amazing, full-featured powerhouse of a program is FREE, or under $1k for the whole shebang. That's unbelievable. This program used to cost thousands, and is now free with more development and continued improvements. "Amazing software, especially considering you get the majority for FREE"
An extremely powerful tool that is relatively easy to learn. I don't use it for every project and the learning curve is just steep enough that I often have to relearn how to use certain features. There are so many features that it can be overwhelming. Since the basic version is free, there shouldn't be anything holding you back from testing it out. It's an amazing tool for color correction and look building for video. I have fun working in the tool and we have achieved what we were looking to with selecting it. "Resolve is hard to beat"
Resolve from Blackmagic Design is an an ediitng and grading that you used to cost thousands and is now availavbe for free. Fitting in the middle ground between the non confirmist ways of Final Cut Pro and the effective but let's be honest dull Adobe Premiere, Resolve offers a new and simpler way of putting edits together. Best suited for smaller shorts, the areas that Resolve excel are in it's quick powerful UI with really outstanding color tools which are a boon to any editor worth their salt. With the latest release, Resolve has better integration with Fusion, BlackMagics effects compositing software, makign Resolve a creative hub which can output your work easily. To be honest their isn't much to dislike. A lot of the earlier gripes such as fiddly file input due to Resolve being fussy wha it ingested are behind us. The colour UI could be more intuitive and Resolve is resource intensive and really only works with a beefy discrete GPU powering it. "It's hard to believe that this is free..."
Resolve 12 is the latest descendant of the DaVinci Resolve product line, and is now free. It has some phenomenal features including some impressive motion tracking and a powerful color grading toolset. The latest version has a solid non-linear editor as well. Even with the limitations imposed on the free version, it's remarkably powerful. Resolve's color grading toolset is quite a bit deeper than it appears at first, and the user interface is dense. Its learning curve is pretty steep, but it's worth it. It's pretty finicky about the GPU. It doesn't run well if there's anything else running that uses the GPU, like even Chrome with just a couple of tabs open. It also doesn't make as good use of the main host processor as other high end color grade systems do. ProRes in windows is Resolve's most flaky functionality though. Other high end color grading tools have their own Quicktime servers instead of depending on Apple's horrendously bad Quicktime implementation for Windows. Resolve does require a fairly powerful GPU, and doesn't scale down very well. Like any other film post production software, it also requires quite a bit of memory and some fast disks, especially if you plan on working in 4K or bigger. I have used Resolve to handle quite a bit of color grading, but also to edit some projects, as well as even adding some simple titles. "The king of color grading, but needs a bit of work on the NLE side"
DaVinci Resolve is one of the best color correction suites on the market. The controls are easy to learn, the end product in the hands of a good colorist are spectacular, and the basic version of the software is free with very few limitations, making it a must for low-budget filmmakers. Resolve also takes XML from all major editing suites, including Final Cut Pro X, allowing it to also work well as a solution to migrate projects between editing suites if needed. It also allows editors to use the software as an NLE without having to relearn their keyboard shortcuts. While it's fantastic at handling color correction, the amount of overhead needed makes it a hard sell as a go-to Non-Linear Editor. Using the program on a powerful desktop or laptop with a graphics card is a must. Its editing suite is fully functioning, but occasionally has issues when migrating over from other programs when it comes to finding media, particularly with external drives. Stereoscopic 3D grading is only available in Resolve Studio despite the basic SKU allowing 3D editing. 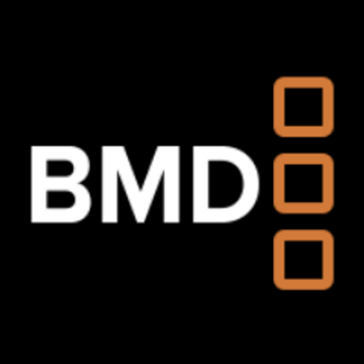 It's an odd quirk, but it makes sense from a business perspective for Blackmagic Design. With the full free version made available to the public, there is no reason to not at least give Resolve a try. See if it works well with your current workflow. We are finding that it's a very versatile program, though we're not sold on it as our main NLE yet. Don't build your workflow around it just yet. "Best Coloring Software on the Market"
Davinci Resolve has all the tools I need for coloring, and they are easy to use. I find Davinci to have the best UI compared to all of the other coloring softwares out there. It has great workflow options, and the HSL keying is a powerful and precise. The biggest thing I dislike about DaVinci is that there is no easy way to use it with Premiere or any other major editing software. I wish Adobe's SpeedGrade was as good as DaVinci since you can use it with Dynamic Link. Highly recommended for any video professional! DaVinci has been vital in improving our company's videos. Our quality has gone up tremendously with skillful grading, and really has given life to our videos, including the not-so-exciting ones. "Colour correction for serious projects"
DaVinci Resolve really knocks it out of the park when it comes to complex and very specific colour correction and grading on large scale projects. The node-based editor means that you can set up a flow of different effects, bypass them, and apply LUTs etc. The render time is very fast considering how complex the tasks can be, and it has support for a really good range of different file and format types, including RAWs from all the major manufacturers and also cDNG files from BlackMagic (not unexpected since they also make the cameras) and from programs like RAWanizer for Magic Lantern Canon DSLR raw. I have used this on many occasions and while you need to make sure your settings are correct, the final image is amazing. I think they are trying to do too much too fast - I am happy for Resolve to stay as colour grading only. I am much more comfortable doing my editing/compositing in the Adobe CC suite before exporting an XML file for DaVinci, and while it is good that they are building in their own editor, it serves no purpose for me and complicates the user interface. It also has very high GPU requirements, and can sometimes render glitches on underpowered GPUs without warning. DaVinci Resolve allows me to improve the quality of my creative output exponentially through use of their good built-in presets and powerful tools. "Easiest and most powerful coloring tool out there"
There's a lot more you can do with this coloring software than the color tab within Adobe Premiere like masking an area to color and tracking that mask works way easier and quicker in Davinci. It's harder for me to add LUTs to this than within Adobe Premiere. Coloring videos is super important to make them cohesive and eye catching. Davinci does a good job being compatible with other softwares so you can go back and forth between them without much hassle. "Extremely powerful product conducive to a fast and efficient workflow." The interface is clear and well laid out with easy customisation ability. The section buttons at the bottom delineate different functions of the software very well. Because of this separation of functions, each aspect of the program is well thought out and fully developed - the media section has excellent file navigation and previewing, with audio meters and metadata viewing. The strong editing section allows you to use this software not only for colour correction but to trim and edit your video. The unique node concept of the colour correction section is a unique and extremely effective workflow tool. Delivering your work, whether back to an editor or to your rendering software is very quick and easy. Resolve does not combine with other products as easily as it could. Transferring from Premiere Pro and back again is quite a tricky job and can lead to problems with effects added to clips while editing. It is also sometimes unstable, especially on lower end computers. Make sure to have a decent computer. This software takes up significant resources, in order to perform as well as it does and have such great functionality. Solving the need for fast and powerful colour correction and on-the-fly editing. Much more powerful than built-in solutions of other companies. Also is surprisingly affordable. "Extremely Powerful Color Grading Tool"
DaVinci Resolve is an extremely powerful, elegant, and useful color grading tool. I find it to be a piece of softwareI keep coming back and using. Color grading applications built into other non-linear editors work great but they can only take you so far. With Resolve I'm able to grade more precisely utilizing the various nodes you are able to set up. I will definitely admit that it took me awhile to get my head around what I was was doing. Getting used to the node based architecture takes quite a bit of time but once you understand how nodes work it becomes a very enjoyable process. If you are the type of person who wants to get absolutely everything out of your footage and you feel that you just cant quite get there or if the grade just feels a little off, try loading up Resolve. Definitely work on several personal projects before implementing the software into your workflow as you will spend several hours figuring out exactly how each piece and aspect of the software works to create a more polished product. Don't give up if you can't figure it out right away. The learning curve for me was significant but I'm feeling more confident in all aspects of my color grading work. "Davinci Resolve - the Missing Link"
Davinci Resolve is the power tool that is missing from every editor's tool box. The features that Resolve offers, especially in inter-operability with other editing platforms creates the professional level that you need to finish your work professionally. Resolve has saved footage that was not usable with any other accessible color grading software. From tracking, to masks, to saving looks, Resolve is a great part of a top post production workflow. Resolve is a very powerful tool, and the learning curve can take some time to get up on top of. I rely on learning from other colorists, tutorials, and also from experience with other projects to figure out the in's and outs of this software. Every editor should have this on their desktop, if not using a full color suite built on Resolve. It offers the ability to start out with the software only product and built from this point to a full colorist's suite. When trying to turn around video projects that are already on a challenging time line, finishing the final look of a video for a client is super important. Davinci Resolve has allowed me to work on challenging footage, and turn it into a finished product that rivals the costliest productions. Most of the power comes from it's ability to create masks and separate layers of color based on individual qualifiers. The tracking tools and the ability to add in 3rd party effects makes this the best tool to use in finishing the look of a video. "Great color grading program - bad in anything else. " Absolutely best color grading tools out there - you can manipulate the image in so many ways I didn't even think existed. It's an enormous workhorse that takes weeks to get to known enough. And on top of that it's completely free which is useful for indie filmmakers. I think Davinci is one of those "best in one, terrible in everything else" - the GUI is so clunky and not user friendly that it takes a lot of time and stress to do anything else than grading. I would not recommend actually editing a video in Resolve - it's not designed for it at all. It's also a very hard software to use overall - for first days of using it I couldn't find any functions that are easily accessible in other NLEs. Both of these makes it suitable only when time is not an issue - for example with short films or ads. I can't imagine using it in a TV environment with short deadlines and constant stress. Edit in other NLE and use Resolve only for grading. This way you get the best of both worlds. Resolve made me have fun with grading. It showed me countless possibilities to manipulate the look of the image in ways I couldn't imagine. And all of that for exactly 0$ - that's a dream come true for aspiring filmmakers. It really helped me kickstart my carrer when I was a beginner. I like how through the program is and all of the settings available. I don't like the walkthroughs/tutorials available. When using DaVinci Resolve my only recommendation is to be careful. You have to know what you're doing before you jump in. There is a thorough instructions manual and I suggest you read the majority of it. DaVinci is free, however it's a pro level program. It doesn't give you the failsafes or warnings you would find in other coloring software. If you know what you need and/or want Resolve will give it to you. That being said I've found the best way it works for me and it does wonders. I love how simple it is to apply new looks and grades to clips so that way I don't have to redo my coloring process on every clip. It's pretty much a copy and paste. The editing feature isn't perfect. In fact, I still use Premiere for offline editing. But for conforming and coloring, Resolve is our go to. Overall I give resolve an 80/100 for it's wonderful and free power. Losing points for window placement and control and tutorial information. I solving the issues that come about when trying to color a piece multiple times. Resolve makes it very easy to go back to a piece you have worked on previously and apply the same looks and colors as before. "Good for anyone who likes editing videos"
amazing tool and it's free! "Resolving to stay with Resolve, for now"
Faster rendering in 14.3 of GPU-powered effects! Industry-standard color finishing tools! Powerful audio tools with Fairlight engine! Occasional flaky performance of VST plugins within Fairlight audio panel, sometimes crashes. I hope to narrow this down to a vendor or certain setting combination soon. Same-day high-quality rendering of edited H.264 source footage with effects and titling, that doesn't need to be outsourced. "Best in Class of Professional Environments"
My favorite aspect of Resolve is that it is designed for fluid color sessions with supervising clients. When I have paying clients in the room, I want to take up as little of their time as possible. Resolve lets me color exceptionally quickly and responds to fast turnarounds and heavy workloads with superior grade management and flagging systems. If there is one thing i dislike, it is that you have to go to 3 graphics cards to get a performance boost. 2 gfx cards result in 1 for display and 1 for compute. I would like to see better utilization of dual gfx card systems. The editing additions to Resolve 12 have been fantastic, and BlackMagic should keep them coming. In order for editors to switch, there needs to be some tangible features or performance that can outdo the realtime playback engines in other applications. The edit page is still a sluggish playback scenario. BlackMagic has filed a lot of the issues by adding better proxies, cache, and debater settings, but these all require a lot of knowledge in the program to babysit. The engine should handle all of that on the fly with no user input. That will bring in editors who are use to not thinking about how to achieve RT playback. The learning curve for building projects is steep. Be prepared for many tutorials and learning lessons. But it is absolutely worth it. This software solves the problem of how to get more clients into my schedule. The benefit of resolve is that you can do short sessions very quickly. I can grade 2-3 music videos a day, 6-8 commercials, or 1 feature (10hr session). The color tracing, flagging system, grade grouping and timeline grading all aid in making the work quick. More clients, so I can charge less/client. "Incredible for a Free NLE"
The price! I never expected a free NLE to be so useful. Coming from Avid, there is a steep learning curve. Also, it definitely seems more geared toward Mac than PC. It's certainly well worth the price to give it a try. I needed a light-running, simple NLE to load on a laptop and use for basic field edits. This seems to have solved that problem. "WAY better then Windows Movie Maker"
It's a non-linear editing system. I love it. it makes it way easier to line up audio from a separate piece of equipment with existing audio on the video you're editing. Research the interface before downloading. if you're not familiar with video editing this program has a learning curve. but results are very much worth the effort. good luck! not so many problems. the benefits, however, are many. with Da Vinci Resolve my company is able to split projects between multiple editors and we are able to work together and file share seemlessly on the same project. the final product is created is a much more cooperative manner. better quality of work, better quality product. "The Best Color Grading Software is Also Free"
DaVinci Resolve is an actual, honest-to-goodness professional color timing suite, that has all the features of really, REALLY expensive software. And it's completely free. It still boggles my mind that Resolve is free. It's incredibly powerful and has all the features you could possibly need, as well as support for an actual hardware color grading board, in case you may wanna upgrade. Try to step out of the very superficial use most people make of Resolve. LUTs and FilmConvert are all well and good, but if you take the time to really understand the underlying principles of color grading, you will have incredible results and a new, insanely powerful creative tool. And you have no excuse to use the Three-Way Color Corrector in your NLE anymore! Having a full-fledged color grading suite at my fingertips without the absurd costs of traditional color grading software is amazing. Along with Blackmagic's revolutionary and affordable cinema cameras, it gave my generation a way to make quality filmmaking on a shoestring budget possible. Now even film students have no excuse for their footage to look shabby. Obviously powerful color-grader now includes more features that allow one to work almost entirely within the UI. the LUTS have changed the film industry (notice the prominence of color grading in films in the last 10 years?). Very fast, intuitive when color grading. Still lacks a lot in the editing tab, compared to PP or FCX, or even more professional applications. A first light quick cut is about what you get. The assets portal is a bit confusing. This comes for free with a BMD Camera, which is a steal. Lots of updates going on, so check youtube or creative cow for tutorials to get started. Plays nicely with MAC. Resolve is outstanding for transcoding dailies. What makes this application better than any other for transcoding is the ability to to sync sound and add LUTs to your footage. Another great factor is all the different export options it has as well. You can maintain file name and even file/folder structure on output. Huge benefit. There honestly isn't a lot to dislike about the program. There could be a quicker way to start encoding your files instead of having to put them into a timeline first, that seems like an unnecessary step. Resolve could possibly just read folders that you create instead of strictly timelines. If you're transcoding dailies in any other program, you need to give Resolve a try. It will completely change your workflow and make it so much easier. This is the main program we do all our transcoding in, this is a one stop shop and that greatly improves our speed and efficiency at transcoding and prepping projects. I love that the layout and tools are very user friendly. You can figure out what you need without watching 100 tutorials. Exporting something isn't very user friendly. It seems as such but then once you get into it, it's pretty confusing and I spend a lot of time exporting, reviewing, tweaking and then re-exporting. It's a process. I think it's one of the best softwares available and I highly recommend giving it a shot to anyone with video editing and coloring needs. I am making original content because of this software. It has helped our outward appearance and was a huge part of our business launch. "Most Dynamic Color Grading Tool"
What I love the most about Resolve is how detailed it is when it comes to color grading. I am able to make the most basic footage and make it look like it came out of a movie.